As the UK’s official first day of summer was June 21st, we are now on the full receiving end of the hotter temperatures. While warmer climates are fun in that they allow us to embrace that exciting summer feeling, if not careful they can also cloud our moods when exposed for too long. During the brighter and often humid months of June, July and August it’s important that we take precautions and follow tips for how to keep cool effectively. There are so many methods to choose from that don’t limit us from having to spend a small fortune on air conditioning. Some ways to keep cool provide short-term, temporary relief, while others last for longer periods of time. When it comes to keeping cool but not breaking the bank, you have to be creative in the methods you choose, as opposed to just going for the most obvious. Our Spa Finder, Waitrose and Maplin voucher codes are all bound to come in handy throughout the summer months. Plus they have a variety of affordable deals to offer. For example, it’s no surprise that doing daily activities like shopping for food, hitting the gym or even travelling to and from work can make everyday life feel like a heat wave. Even when the temperatures outdoors are not overly boiling, when we rush around from point A to point B at a high speed, it’s imperative to consider the importance of keeping cool. We have a number of Maplin voucher codes at the moment that can get you up to 50% off electrical products. So say you wanted to stock up on desk fans to place in the office or at home? You could bag yourself a bargain on the selection of electrical fans sold here. Their tower fans and floor fans are ideal for circulating cool air around a room. While their mini, portable fans are perfect for using in the car or while working out at the gym. If it’s a spa treatment or two you’re after, look no further than our Spa Finder voucher codes. Every now and then we all deserve a little treat. By taking a personal day off from work, or by booking a weekend break, the possibilities for relaxing spa treatments are endless. Health and wellbeing has become a hot trend lately, especially throughout the summer season. So why not take advantage of the current offers we have here and book in with a spa that suits your needs? Pampering and massage sessions are recommended for quick-fix treats while reflexology and aromatherapy both work wonders for relaxing the mind, body and soul. When it’s too humid outdoors, it makes sense to find a suitable refuge. There’s nothing quite like enjoying a cooling spa experience, trust us. Alternatively, if you’re a food fanatic and can’t resist some iced treats to help cool you down, you’ll simply love our Waitrose voucher codes. They have a whole host of tempting frozen goodies that you can indulge in. 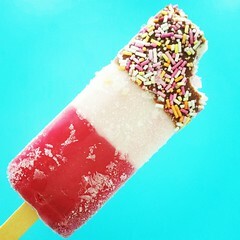 This includes ice lollies, ice-creams, sorbets, ice cubes and even healthier choices if you’re counting your calories. The best part is that everything you buy can be stored right at home in your freezer, ready to raid when you need to beat the heat. There are plenty of ways we can enjoy the sun without worrying about overheating. It just comes down to a little bit of planning ahead and forward-thinking. So next time you’re wondering how to cool down quickly, take a browse through the summer products and services you can pick up using some of our Waitrose, Maplin and Spa Finder voucher codes.